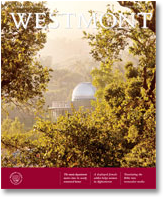 Westmont began as the Bible Missionary Institute in 1937, so it’s not surprising the school recruited a solid Bible faculty. When the curriculum changed to a liberal arts college three years later, the professors stayed on. Wallace Emerson, the first president, described the department as “very strong. 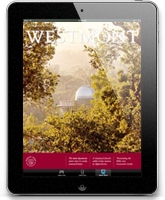 We had Dr. McCreery, we had John Page, we had Anna Dennis, and whatever their other qualities might have been, they were really good Bible teachers.” These well known and experienced faculty held positions at the Bible Institute of Los Angeles before coming to Westmont. Given the era, the presence of a woman in this group is remarkable. Dennis’ background makes her even more unusual. She was a young schoolteacher in Los Angeles when she became a Christian through a Bible study. According to a 1944 Horizon story, she then took classes at the Bible Institute and was a “pioneer alumna” of the University of California, Los Angeles. When she began teaching in local Sunday schools, she displayed such skill as a storyteller she was asked to speak at Sunday school conventions.